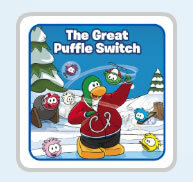 There is a brand new book in Club Penguin named “The Great Puffle Switch” which can be used to unlock a blue book with 1500 coins or 2000 coins. You can choose buy the book from Amazon. 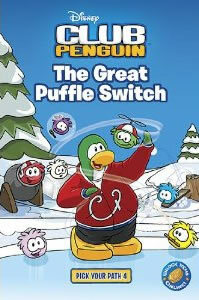 Be sure to check out the other Club Penguin Book Codes! Nice post 😀 keep up da good work tech!! we can get 1500 with the book not 200! It’s just a book that will be available in stores soon. For the page 26 for left you put 8 not 10! Can you please give us more codes ro unlock clothes and stuff? please! ?